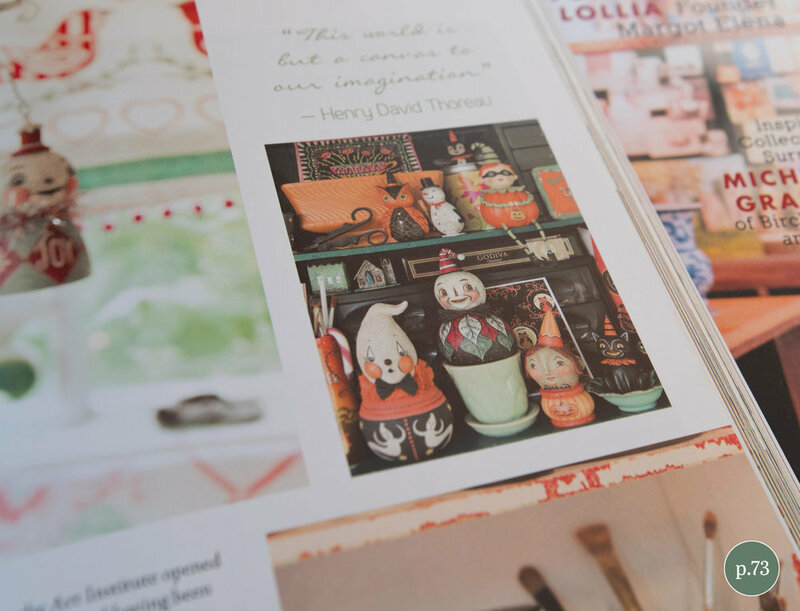 Featured in the current Nov/Dec/Jan issue of Where Women Create Magazine! With Halloween being a favorite theme of Johanna's, it was only natural to include a few holiday crossover characters in the mix. 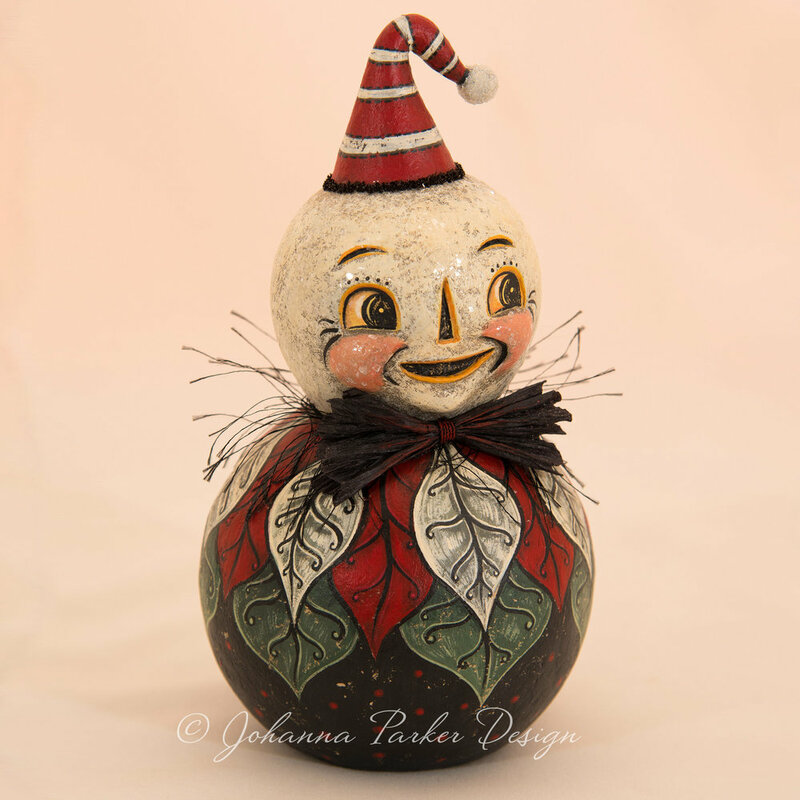 This sweet white lumina pumpkin man leads you right into winter with his red and white striped stocking cap and festively painted poinsettia petals. 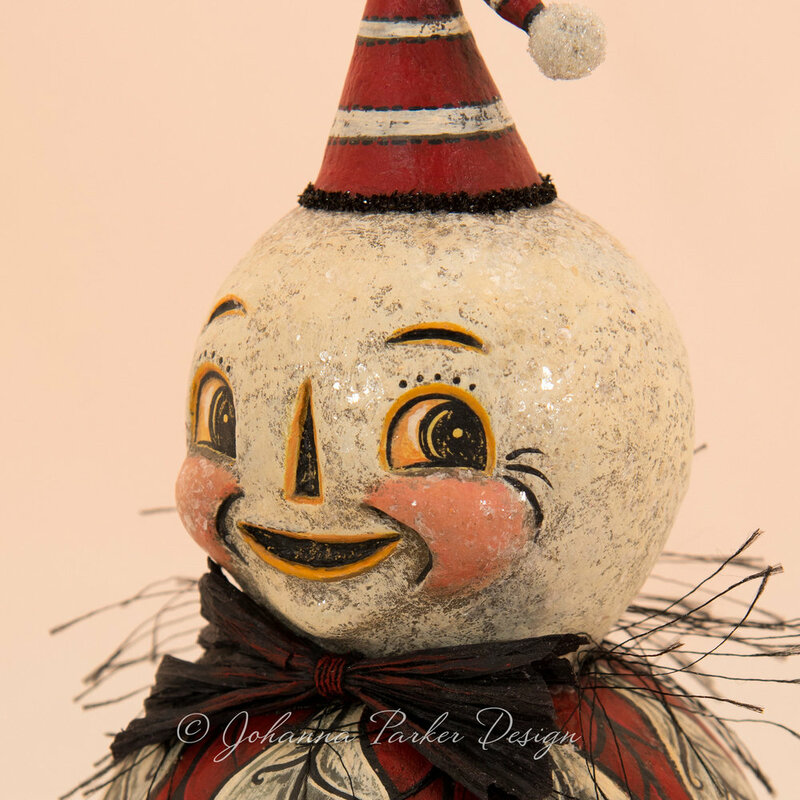 Glass glittered trims and a wide crepe paper bow tie with collar wisp add a festive touch to this spooky sweet guy. See "Getty Poinzetty" flashing his grin on pg. 73 of the current Nov/Dec/Jan issue of Where Women Create Magazine! He's a bootiful blend of Halloween and Christmas, all in one! 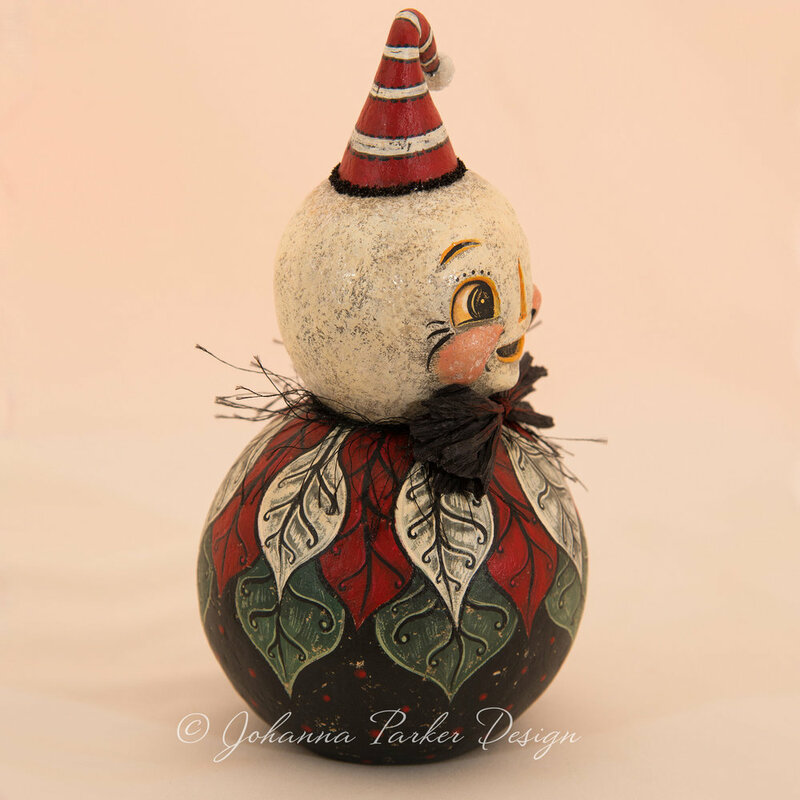 Hand sculpted & painted papier mache folk art original by Johanna Parker. We are accepting your Best Offers now through when this silent auction ends on December 13th. By mid-day on Wednesday the 13th, all bidders will receive an update via email which will disclose the current Best Offer. Participants will have until 6:00 pm EST to reply and raise their bids, and that information will remain private. The winning Best Offer of this auction will be announced via email shortly after 6:00 pm EST to all participating collectors. Thank you! Thank you for your Best offer!